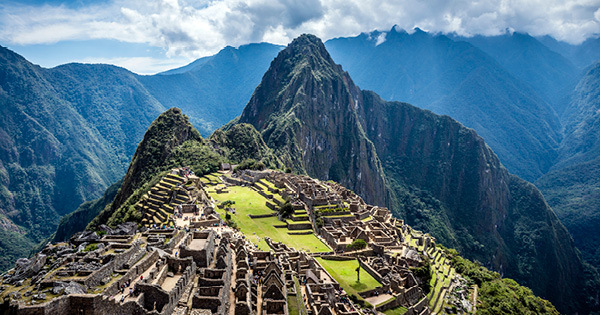 From the pulsating capital of Lima to the mist-cloaked mountains of Machu Picchu and the serene waters of South America's largest lake, you'll be spellbound by Peru. From classic Peruvian dishes such as ceviche, to a traditional Pachamanca Feast in Sacred Valley, you'll be inspired to introduce new recipes into your own cooking back home. Price is per person based on a lead in rate and subject to availability depending on the departure date (High and low season rates apply). Pay a R6000 per person deposit within 7 days of the booking with full payment due 90 days prior to departure date. May be combined with normal brochure discounts (past guest, group discount, 2 tours or more) if applicable. All cancellation policies apply as per 2019 Luxury Gold worldwide brochure. Prices and availability are correct as at 14 March 2019 and are subject to change without notice. INTREPID : Epic small group tours for 18-29 year olds!